I love sleep. Few things make you feel better and more refreshed than a good night’s rest. It should be common sense then that sleep forms the bedrock for our recovery and is arguably the most effective recovery strategy we have. It’s perhaps a little surprising then that many athletes aren’t getting enough, as recent research shows in elite sport. Today’s blog continues our recovery series and examines recent research on sleep and practical advice for runners of all levels. Before we drift into sleep a quick course update! Our Cardiff course in March had to be rescheduled due to the snow and disruption from the ‘Beast from the East’. The good news though is that we’ve rescheduled it to the 19th and 20th of May and have a couple of places left. Email me, tom@running-physio.com if you’d like to find out more or to book your place. Impairments reported in sport specific skill execution, submaximal sustained exercise bouts and muscular and anaerobic power. Multiple cognitive impairments found including greater variation in mood – such poor mood states have been linked to overreaching and overtraining. Biggins et al. (2017) reported poor sleepers had lower general health and increased stress and confusion. Sleep loss in athletes may reduce the muscle protein resynthesis mechanism and stimulate processes resulting in muscle degradation. Muscle glycogen stores are reduced during sleep deprivation. Inadequate sleep impairs maximal muscle strength in compound movements (Knowles et al. 2018). Adolescent athletes who sleep less than 8 hours per night (on average) have 1.7 times greater risk of injury than those who sleep more than 8 hours (Milewski et al. 2014). Military studies suggest sleep may be important for bone health and sleep deprivation may be a factor in the development of bone stress injuries (Finestone and Milgrom 2008). A 2018 systematic review from Bonnar et al. (2018) examined the evidence behind interventions to improve sleep to aid performance and recovery. They included 10 studies with a total of 218 participants from various sports. Sleep interventions were divided into 3 broad categories; Sleep extension and napping, sleep hygiene and post-exercise recovery strategies. Of these 3 categories the evidence indicates that sleep extension had the most beneficial effects on subsequent performance. For example, Mah et al. (2011) showed multiple performance benefits from extending sleep and aiming for a minimum of 10 hours in bed each night. The basketball players in this study improved sprint speed, shooting accuracy, fatigue levels and mental well-being. Bonnar et al.’s findings suggest a minimum of 1 week of increased sleep duration leads to improvements on a range of performance measures among sleep deprived athletes. Day time napping may also help to extend sleep and reduce the effects of sleep deprivation (Bird 2013). Perhaps a key message to our sleep deprived athletes is simply sleep a bit more! Bonnar et al. (2018) acknowledge that 7 to 9 hours of sleep per night is recommended for healthy adults but athletes need 9 to 10 hours of total sleep to reach their full potential. Download our free guide on improving sleep for athletes with 10 top tips! Sleep hygiene strategies (such as examples recommended by Bird 2013 below) are popular and may increase sleep duration but there was less evidence that this led to improvements in recovery and performance. Bonnar et al. (2018) acknowledged potential benefits of sleep hygiene, especially if used long-term but did not recommend it as a stand alone treatment. Cryotherapy or red light treatments were used as post-exercise recovery strategies to improve sleep but showed only minor improvements in performance measures and are unlikely to be available to most athletes. This systematic review also highlights that further research is needed and that what research currently exists comes from a fairly narrow population; 7 out of the 10 reviewed studies included only male athletes and the age range across all studies was limited to 18 to 24 years old. Perhaps part of the reason why generic sleep interventions aren’t always effective is that there are multiple reasons why an athlete’s sleep may be disturbed including chronic sleep complaints (such as insomnia) disruption of usual sleep routines (e.g. while travelling) and as a response to heavy training. Mental well-being and pre-race anxiety may also impact sleep. We also haven’t mentioned something that may be key in our injured athletes – pain. Our sleep interventions should be tailored to address the needs of each individual. For example if it’s pain that’s preventing sleep it’s unlikely that sleep hygiene strategies will be effective. “With respect to athletes, the key to reducing ambivalence would be to help them evaluate how the consequences of engaging in sleep interfering behaviors are inconsistent with the goal of achieving success, due to the negative impact of reduced sleep on performance and recovery. A decisional matrix is one example of an MI technique that assists individuals in identifying the pros and cons for both changing and maintaining an unhelpful behavior.” Bonnar et al. (2018). Halson and Lastella (2017) acknowledge that creating change can be difficult and that while many athletes recognise the benefits of more sleep and enjoy sleeping they still may not make the changes necessary to improve their sleep. They suggests focussing on the positives from improving sleep, such as improved performance, and understanding your athletes and their world. They point out that examples from some of the very best in sport may serve to motivate more than talking about sleep science, such as highlighting that Roger Federer sleeps 12 hours per night! There’s a great quote from this paper that sums up so much of athlete training and recovery that I want to frame it and put it on my wall!.. “Athletes can have knowledge and desire, but continue to miss out on what is good for them. We can know something and even believe that changing a behaviour is important and yet still do nothing.” Halson and Lastella (2017). Something to consider with improving sleep or any recommendations we make to people we work with – how do we help them bridge the gap between knowing what to do and doing it? The key message to take from this blog and the research within it is that sleep is important for performance and recovery and should be considered when working with athletes. A simple action point for clinicians is to include questions about sleep for all patients that you see. Ask how many hours of sleep they typically get per night, whether they feel refreshed within 30 minutes of waking and whether they feel fatigued/sleepy during the day. Simple advice around sleep hygiene and extending sleep may be enough to improve sleep quantity and quality leading to a host of benefits. For more detailed advice on optimising sleep download our free guide (⬇below⬇) which includes 10 top tips for better sleep and is based on recent research as well as recommendations from the Centre for Sleep and Human Performance. Feel free to share this with your athletes to help them improve their recovery and performance. 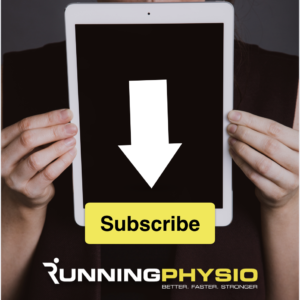 By downloading the guide you’ll also join our Cutting Edge Clinicians mailing list and gain access to exclusive evidence-based content. Coming soon we have an interesting stress fracture case study which highlights the role sleep can play in injury. Keep a look out for that!